Binge is a word tinged with morality and shame (unless it’s a Netflix binge, of course). The term and subsequent meaning peers into our innermost and private feelings of success, failure, worth, right and wrong and so much more. Yet, a food binge is often misunderstood. Many are quick to define it by the amount of or type of food that is consumed. In truth, however, a binge is so much more than that, and also none of it at the same time. You see, from my perspective, a binge has nothing to do with what or how much you ate at one time, but rather the feeling of a lack of control associated with the binge and dissociation from our bodies. Many people try to curb their binges by using will power, determination or trigger food avoidance. Many loathe this part of themselves and push it way down out of consciousness out of contempt. I have seen many practitioners try to heal binging by putting someone on a dieting protocol, which doesn’t work. In my experience and in perhaps what is a controversial philosophy, I work with clients instead to BEFRIEND the binge, learn about them, and be curious about the patterns and environmental, emotional and lifestyle factors that tend to be a precursor to them. By giving the binge a voice that can be heard, acknowledged and then bring inquiry towards, with unattached curiosity, we can then have the tools to know exactly how to address them with compassion, rather than shame and loathing. Below, I’m listing 5 types of common binges that I have seen in myself and in clients. This is by no means an exhaustive list and of course each individual experiences them differently depending on their own lives and world view. I only aim to shed light on some of the most common that I have seen. This is also known as the rubber band binge. You chronically diet. You go up and down in your weight. You alternatively restrict and then binge, once you snap and can’t take the restriction anymore. Often times the very foods you have been restricting as the same foods you end up binging on once the “diet” is over or your will power throws you under the bus. The post-diet binge is laced with both relief and remorse, but ultimately leaves one feeling hopeless and concerned about what comes next. This can happen at any lavish event or even a home party like a superbowl party or a BBQ. Its often celebratory in nature but also involves a lot of distracted eating due to mingling, talking and general revelry or TV watching. Studies have been done that many people subconsciously mimic what others in their situation around food. So, if we see a lot of people drinking and eating with abandon, we are more likely to as well. Or, the “feeling sorry for myself” binge. The times that I have experienced this type of binge, it involved a resolute, convicted type of F you to the whole world or anyone that ever told me not to eat this food or to “be careful about” how much I consume. It happens when we’re particularly stressed, exhausted and/or premenstrual. We use this binge to comfort, to reward ourselves and to rebel. These types of binges tend to be less angsty because we’re doing it, in part, to rebel for society, peers or parents, who tried to control our eating or deny us of food pleasure. When I was in the thick of my dieting days, I would work so very hard to eat perfectly, exercise relentlessly and drink loads of water to help my weight loss efforts. Once, when I had reached one of my low weights, I was simultaneously cat-called and body shamed by the same person after I had rebuked his efforts. It triggered me into a binge. After all, if I was still body-shamed and criticized after putting forth all the heroic and herculean efforts I could muster to be smaller, then really what was the point of it all. These binges can also occur after a disheartening or emotionally painful visit to a dressing room at a store after trying clothes on, in vain, and feeling like nothing looks good and nothing fits right. 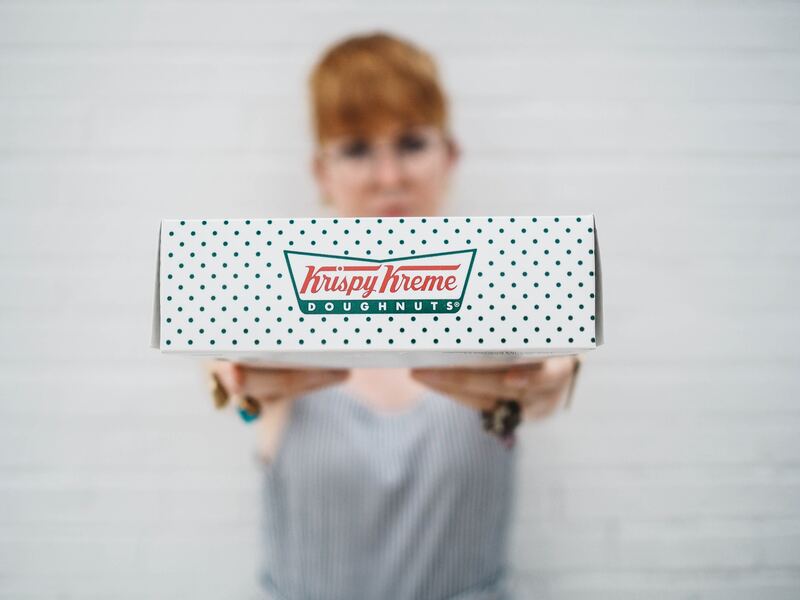 Ironically, instead of redoubling our efforts in that moment to change or try harder, it often ends up leaving us in complete despair and hopelessness leading us to seek out foods that comfort us. This binge is one of the most common that I have seen and there are several reasons for this. First of all, after making potentially thousands of decisions during the day, we’re more prone to decision fatigue in the evening, which can lead to easy access foods and often times those foods tend to be the ones that have fat, sugar and salt in them or in a processed form. Second of all, when we’re tired at night but not ready for bed, we may use food to give us quick energy. We may also use a subconscious food script which can lead to a binge such as eating a pint of ice cream while watching the game with your spouse or partner. Finally, we binge at night to avoid. Sometimes we want to avoid boredom and monotony. Sometimes we seek intimacy and connection and food plays that role. Sometimes we are so stressed from the chaos of the day that we use food to numb out from further stressors at home. There can be many reasons for the late night or middle of the night binge and I’m only touching on a few of these here. Which one of these types of binges do you most relate to? Which would you add or change? Enroll in my 3-part video series to learn more about Binges, Overeating, Emotional and stress eating by clicking the link below! Are you an Empowered Eater? Stress. I stress eat. I used to not eat when I was stressed out and now I just crave sweets to no end. Stress eating is normal. The key is understanding where the stress is coming from and work to create a relaxation response before eating! 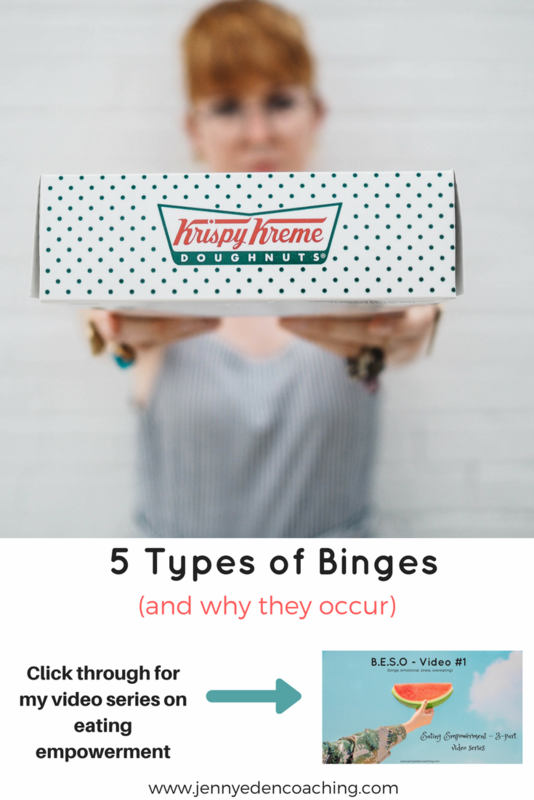 Thanks for this post, super informative… I did not know all the different types of binges there were. Is there such thing as a stress binge?? Thanks for this super helpful info. I definitely fall prey to more than one of these.